Two cartoons in the 1980’s introduced me to the wonderful world of anime. One was Voltron, the other was Robotech. Robotech was actually made up of three different mecha anime series edited together into one giant story arc for American syndication. 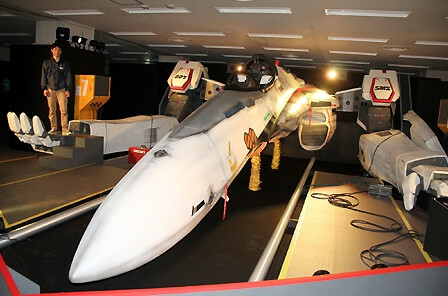 The most notable of the three series was The Super Dimension Fortress Macross, which celebrates its 30th anniversary this year. 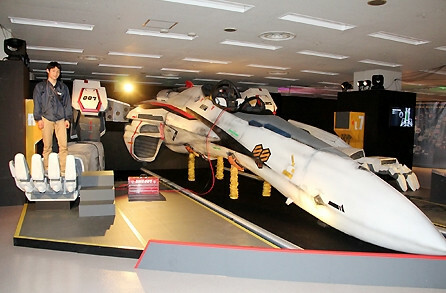 The most popular vehicle of the Macross series was the transforming VF-25F Messiah Valkyrie fighter jet, piloted by the heroic Rick Hunter. 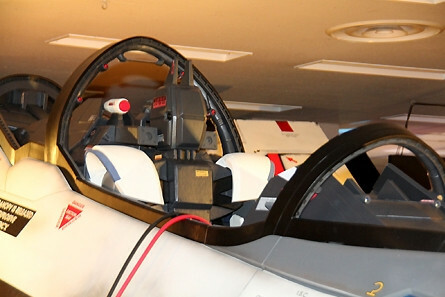 The Valkerie’s had three modes: Fighter mode, guardian mode, and battloid mode. The vehicle was every young boys dream. Unfortunately, it only existed in animation cells and on the toy shelf. 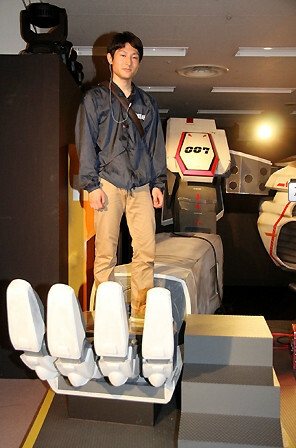 Well, people in the Ikebukuro section of Toshima, Tokyo are now able to do what many young boys in the 1980’s only wished they could: stand side by side with a life sized Robotech Valkyrie. 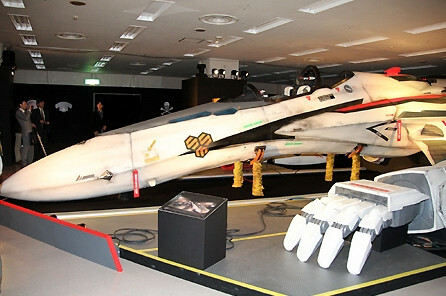 As part of the 30th Anniversary Macross Super Dimension Exhibition - Valkyrie de Sasotte!, the Sunshine City shopping center unveiled a 1/1 scale (18 meter long) mockup of the series signature vehicle. It appears to be in battloid mode, with its arms visible. 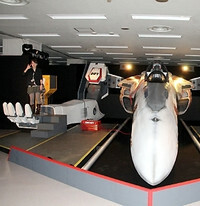 As the pictures show, the mockup is actually big enough for someone to stand in palm of its hand. If I would’ve seen this as a nine year old boy, my head would have exploded. Now if only they could make one that can actually fly and transform, then we’d be talking. I posted a few more pics below, courtesy of Crunchyroll and MANTANWEB. Enjoy. Please please please - for the love of god - can someone else please take the time to take some new photos of this Valkyrie? Is the whole world full of retards that cannot understand that not the whole world can get to this shopping center while it's there? 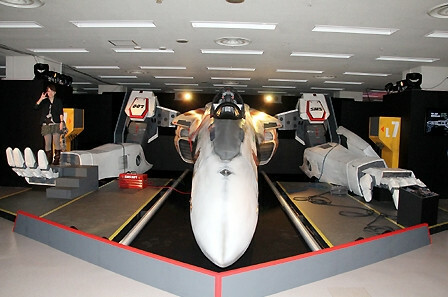 The Valkyrie from Robotech were VF-1 not VF-25. The VF-25 is from Macross Frontier - two very different looks (both transformable though) - no brain surgery needed to figure it out.